What’s your brand story and why does it matter? Storytelling is key to connecting with consumers in both online and offline communications. But in order to make sure they’re as effective as possible, these communication efforts need to be aligned. Every brand has a story to tell. How and why the brand was created, the establishment process, or the obstacles that have been overcome. A brand’s story aims to draw people in and allow them to identify with the brand, its values and its purpose. It’s a bit like making a new friend – it’s hard to connect with someone without knowing some of their story or their values. And you’re unlikely to trust them if what they say and what they do aren’t one-in-the-same. Aligning your brand’s online and offline communications is vital to maintaining a long-term relationship and gaining customer loyalty, so how can we do it? According to 65% of marketing executives, they believe multimedia elements like photos, illustrations, and infographics are key to communicating a brand’s story. 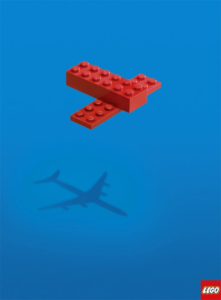 LEGO is a company that tells a powerful story and ticks all of the boxes just mentioned. 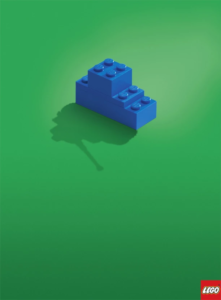 LEGO is particularly skilled in sharing their story through illustrations and animations. But LEGO doesn’t just say what its values are, it shows them in their online and offline communications. What better way to depict ‘imagination’ and encourage children to have fun with their LEGO sets? It’s not only succeeding in offline play – the toy giant is also smashing it in the digital world. The LEGO Movie is a prime example of this and was a huge hit, with profits driven up by 16 percent! LEGO’s YouTube channel is also a huge success. With over 6 million subscribers, showcasing their values through a range of videos – from multiple miniseries and mini movies based on different famous TV characters, to how-to videos, and short films inspired by fan creations just to name a few. By matching their digital entertainment, they are complementing the themes that inspire the physical LEGO sets. It’s the perfect combination for all big fans! 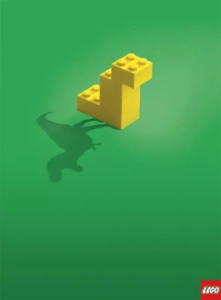 In 2012, LEGO published a 17-minute animation to their YouTube channel. ‘The LEGO Story’ is surprisingly captivating, detailing how the company was created and its journey to now. It showcases the emphasis LEGO’s founders placed on the quality of the toys. It then shares the many obstacles overcome in company’s early years, outlining the company’s values. After the first minute of the video, you may think: ‘I’m not watching another 16 minutes of animation about LEGO’. Seventeen minutes later, you will find yourself telling your friends everything you know about LEGO. The brand’s online presence is diverse and easily accessible, particularly Twitter and YouTube, with multiple accounts to cater for LEGO-lovers’ specific interests. One of the accounts is LEGO Ideas, which is the perfect way for users to share their offline experiences with other users online, essentially marketing the capabilities of LEGO sets for the brand. The popular Magical Builds of the #WizardingWorld contest is closing on the 29th November at 12 noon CET. Submit your entry today via https://t.co/6BdZN0qYjU. Looking at this example, it’s clear that a big marketing budget isn’t always necessary. By aligning your online and offline communications and ensuring brand values are shared consistently across all platforms – loyalty, trust, and respect between a brand and its consumers will grow!